Equity is also being infused in some banks to ensure that they do not breach thresholds set up in Prompt Corrective Action framework of the Reserve Bank of India. 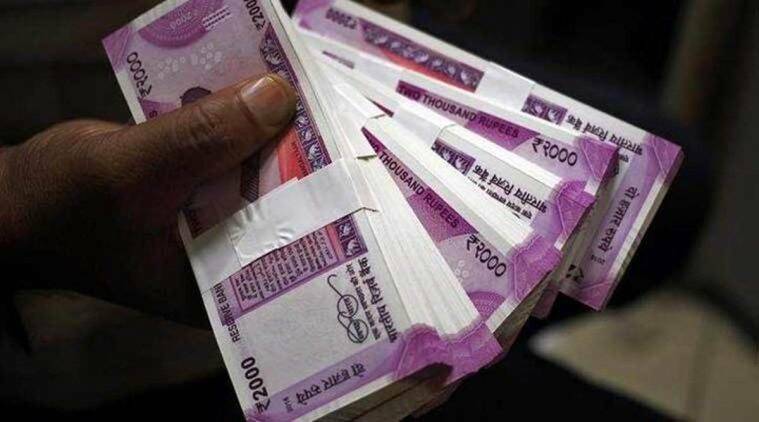 The government will infuse Rs 9,086 crore in Corporation Bank and Rs 6,896 crore in Allahabad Bank — the two better-performing banks currently under the PCA supervision of the RBI, Department of Financial Services Secretary Rajiv Kumar said in a tweet. The government on Wednesday announced equity infusion of Rs 48,239 crore in 12 public sector banks in this fiscal to help them maintain regulatory capital requirements and to provide growth capital to better performing banks. The government will infuse Rs 9,086 crore in Corporation Bank and Rs 6,896 crore in Allahabad Bank — the two better-performing banks currently under the PCA supervision of the RBI, Department of Financial Services Secretary Rajiv Kumar said in a tweet. Bank of India and Bank of Maharashtra are being given equity of Rs 4,638 crore and Rs 205 crore, respectively, in order to ensure that these banks remain above the PCA trigger points. These banks have recently come out of the regulatory supervisory framework PCA of the RBI. Punjab National Bank will get Rs 5,908 crore, Union Bank of India Rs 4,112 crore, Andhra Bank Rs 3,256 crore and Syndicate Bank Rs 1,603 crore. Equity is being infused in these four banks to ensure that do not fall into the PCA. The government will pump in Rs 12,535 crore in four other banks under PCA — Central Bank of India, United Bank, UCO Bank and Indian Overseas Bank. The government in December had infused Rs 28,615 crore into seven public sector banks through issuance of recapitalisation bonds. Last December, the government had announced fund infusion of Rs 83,000 crore in public sector banks by March-end to partly make up for the lenders’ shortfall in fund raising from the markets. As against planned capital infusion of Rs 65,000 crore in the current financial year, equity infusion amount was raised to Rs 1.06 lakh crore. PCA framework kicks in when banks breach any of the three key regulatory trigger points, i.e. capital to risk weighted assets ratio, net NPA and Return on Assets.